Senior Resource 101 Class Tonight! Please join us for this informative class this evening at 7:00 p.m.
Senior Resource 101 Class Tomorrow! 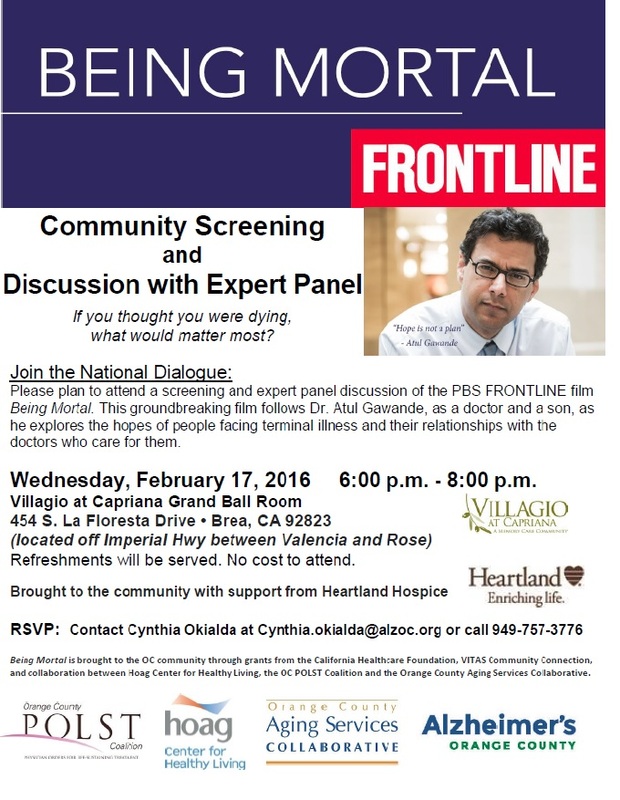 Please join us for this informative session tomorrow evening at 7:00 p.m. – 8:00 p.m.! NOCSC Educational Forum – Save The Date! 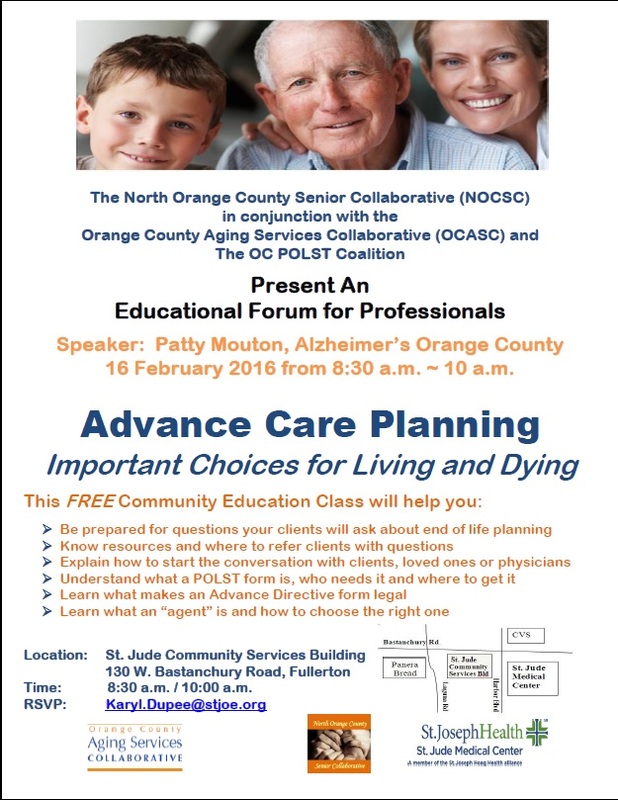 Please save the date of Tuesday, 16 February / 8:30-10 a.m. for the first Educational Forum for Professionals of 2016 presented by Patty Mouton, Vice President of Outreach and Advocacy for Alzheimer’s OC ~ you won’t want to miss this dynamic presentation and useful information!